Attorney Joseph Falzon is a graduate of The University of Detroit Mercy (2010) and the Thomas M. Cooley School of Law (2016). While in law school, he focused on litigation, participating and winning both the Evidence Competition and the Advanced Evidence Competition. 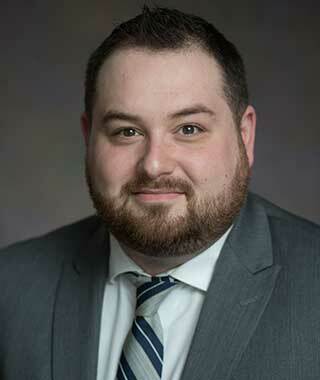 Joseph also received Certificates of Merit in Criminal law, Evidence, Michigan No-Fault Law, and Civil Procedure II; and, was on the Dean’s List throughout law school. Joseph, also passionate about helping others succeed in law school, was the Teaching Assistant in both Evidence and Alternative Dispute Resolution. He continues to tutor in his spare time. Additionally he was a senior member of the National Mock Trial Team. While in law school, Joseph received the Raymond Burr award for his excellence in Criminal Law. Before becoming licensed in Michigan in 2016, he was a law clerk with Wigod & Falzon P.C., and is experienced in personal injury.